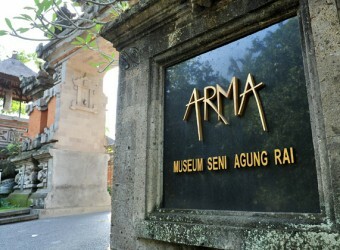 ARMA Museum was officially opened by the Indonesian Minister for Education and Culture, Prof. Dr, Ing. Wardiman Djojonegoro on 9 June 1996. The museum is administered by the ARMA Foundation which was set up on 13 May 1996. ARMA is beyond a normal museum, but it is the hot spots of art. Kecak Dance is performed only on the day of new moon and full moon is really dynamic! I visited this art museum on Ubud sightseeing tour. This area has many attractions. Art museum is very large. Bali historical works and works of foreign artists are displayed in this art museum. This museum has green garden and I recommend you to take a walk in the garden around the museum.